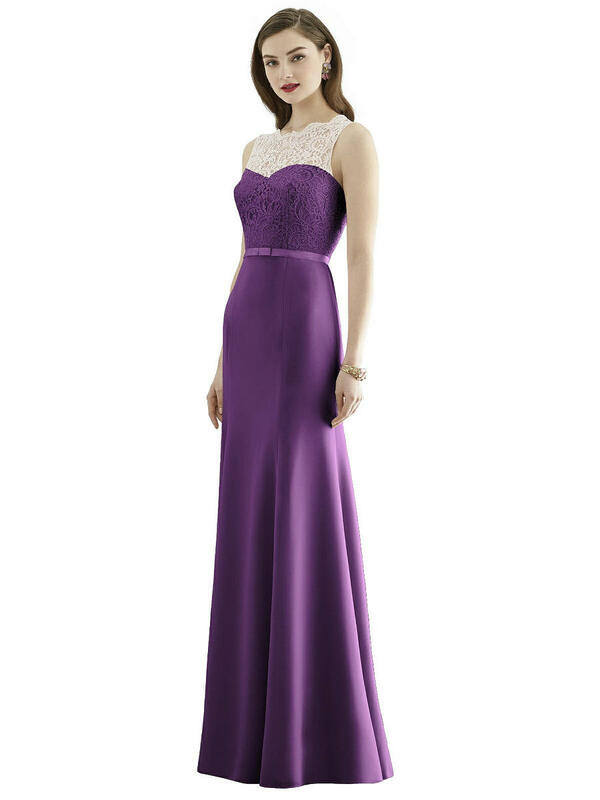 Full length sleeveless dress in marquis lace and nu-georgette. Bodice has bateau neckline and open back. Matching grosgrain bow belt. Nu-Georgette trumpet skirt. Sizes: 00-30W or 00-30W Extra Length.